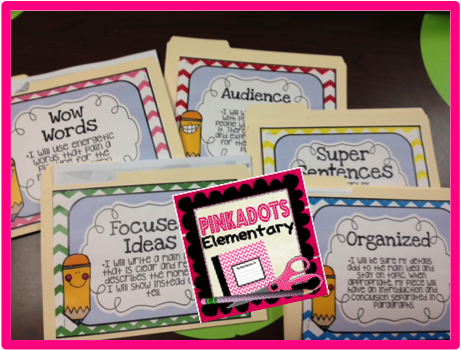 Pinkadots Elementary : How to use the Writing Process to Create Small Groups! 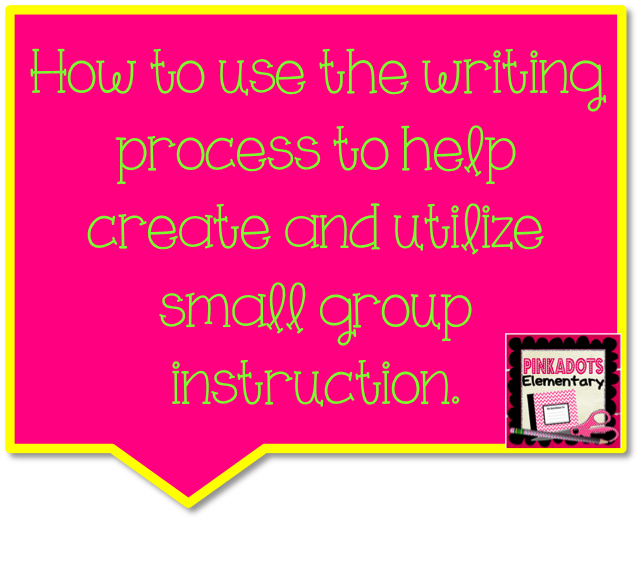 How to use the Writing Process to Create Small Groups! Due to the awesome amount of emails I received over my recent blog posts here and here, I decided to go into more detail of our writing process plan. Thank you for all of the sweet emails, it makes me so excited to know I am helping other teachers out by sharing ideas and suggestions. Going through the writing process does take a lot of time and effort, but it is so rewarding for the students AND the teacher. As a teacher, I am able to really take note of my students’ individual needs as well as give them meaningful feedback to take their writing to the next level. 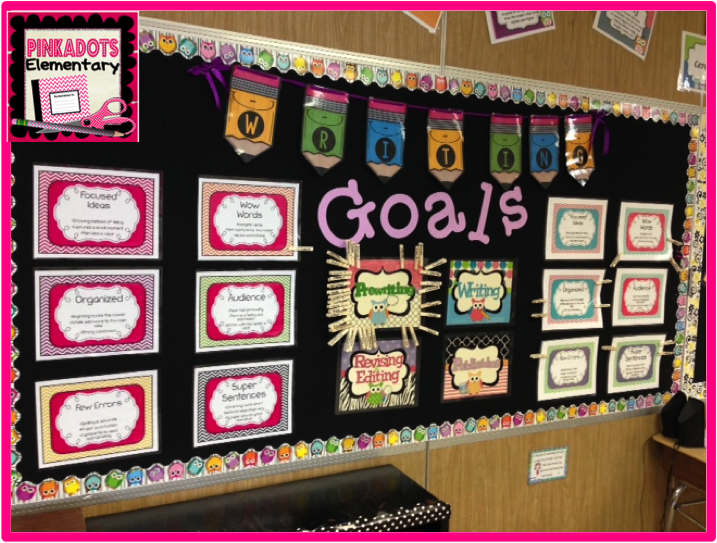 We started using writing goals a few years ago, but completely rethought our process and made it student friendly. This year, we have put it into action and love the results. We really hope it helps you out as well. We do not do this with every single writing piece, but maybe one per unit. Planning: While planning, we like to design a plan for the students to use to help them organize their thoughts as the year moves on we start to take away the plan and they learn how to create one from memory. Having a good plan is a key necessity to having a strong paper. They keep this plan on their desk whenever they are working on this assignment. We constantly ask the kids to refer back to their plan and encourage them to follow it. Peer Editing: After the students plan and complete their rough draft. Students partner up to proof read eachother’s papers. They complete the check off list and give each other verbal feedback. The more you teach into this step, the better the students will learn to peer edit. Conferencing: At this time the teacher meets with each student individually. I usually have a sign up list on the board and when students are ready to conference, they sign up. After a student meets with me, they check their name off and move on to the next step. At this conference, the child reads their paper out loud and we edit and discuss ideas and progress together. Together we decide on a goal for the student. During this meeting, I am actively taking notes on the child’s goal sheet that I keep in my student data binder. 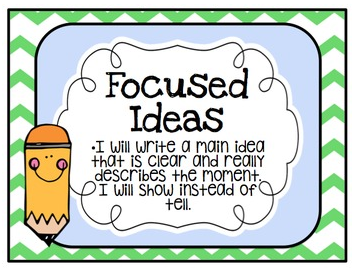 I always add the date, title of story, notes of progress, and highlight the goal for the child. We designed these sheets with two to a page so we can easily compare as the year progresses. Once a student has a goal they move their clothes pin (with their name written on it in sharpie) on the correct goal on the bulletin board. This is helpful because it is a great visual for me to see who is working on what goal at the same time. Also, during our WIN time, we now take writing groups based on goals. For example, if a child’s goal is to work on having fewer grammatical errors in their writing, the group will work on punctuation, spelling patterns, and/or grammatical rules when they are pulled for a small group. 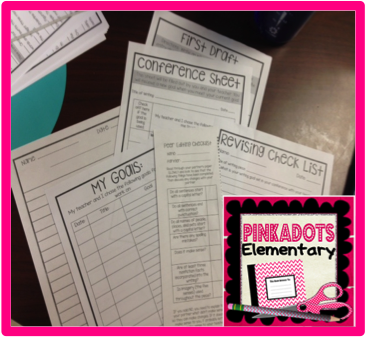 We actually keep the groups organized by printing a second set of goal posters, stapling them to folders, and filling the folders with worksheets appropriate for each goal. It is a great way to prep for many weeks at a time. Before the student leaves the conference they are also given a revising check list specified for their needs. We do not hold every child responsible for every part of this list, we make it work with the goal. If their goal is to focus on adding better vocabulary into their writing, they would probably have the first idea highlighted, which states, “Circle four words you can replace with a synonym. Cross out the words and rewrite the new word above. Use a thesaurus for help.” By the student working on this part of revising, they are also hitting their goal. We hope that by doing this multiple times, they will learn to do it automatically and/or build their vocabulary up so it comes naturally to them. Some students have one revising idea highlighted while others have three. Writing Folder Goal Sheet: One more way for the students to keep track of their goals is to have this paper stapled to the front of their writing folder. Every time they conference with the teacher and discuss a goal, they will record the date, title of assignment, and goal. 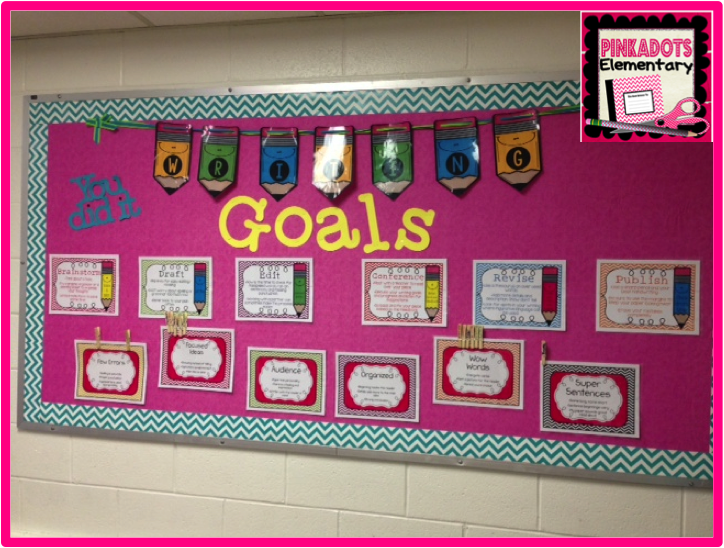 We understand that some students will stay on the same goal for more than one assignment, but we think it is also important for the students to see the time line and how long they have been working on their specific goal. This is also great for administration to see when they come into the classroom. The students will be able to explain their goals, how they are working on them, and why they have them, all from this simple worksheet! 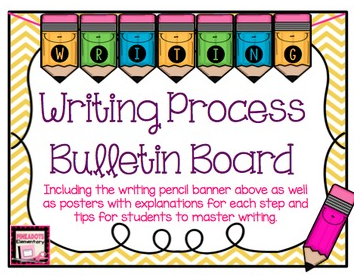 This interactive bulletin board is GREAT when paired with our “Writing Process” Bulletin Board as well! I hope this post can help you organize your Writers' Workshop and create small groups for easy targeted instruction. If you have any other ideas, suggestions, or questions, please let us know!